This cake was made for the Snow White Pantomime after show party. The mirror and book you've already seen, the dwarves we repurposed doozers so they shook their heads and sneezy sneezes. The photos are stolen from the cake frame fb page and I can't wait to see some uploaded video from the event. Part of the snow white cake is a large fairy tale style book. These pages are to be covered in colour printed icing and will stand up in the middle of the cake. Here's Kevin from Kitronik, explaining exactly why you should be buying poplar plywood instead of birch for your laser cutting. They also have a blog post about it. After Fraggle Rock we moved on to the next cake. 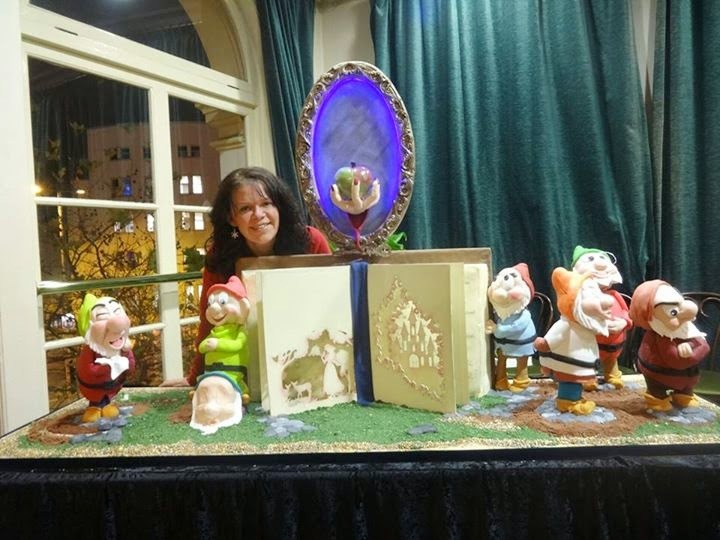 This was another moving cake for the after show party of a Snow White Pantomime. A lot of the mechanism were re purposed but there were a few new parts as well. The mirror was made from 6mm ply and has a row of LED pixels hidden around the edge of the mirror to provide some colour changing illumination. An Arduino Nano drives the LED's using the fastLED libraries. The front panel is detachable so it can be decorated with cake while flat and then put into position. 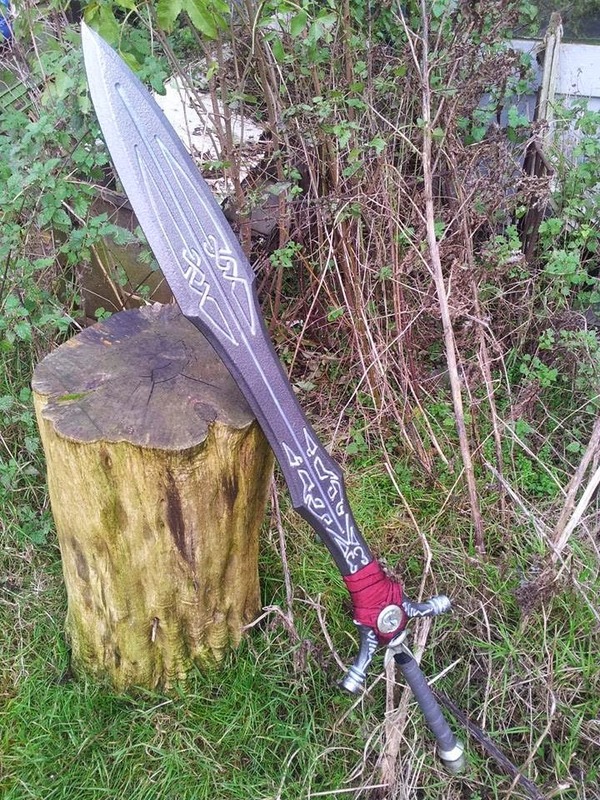 Eldritch has just finished up another laser cut sword and it looks fantastic. Sure it took a recut and way too long to get done but it was worth it. Hope it's new owner really enjoys it.